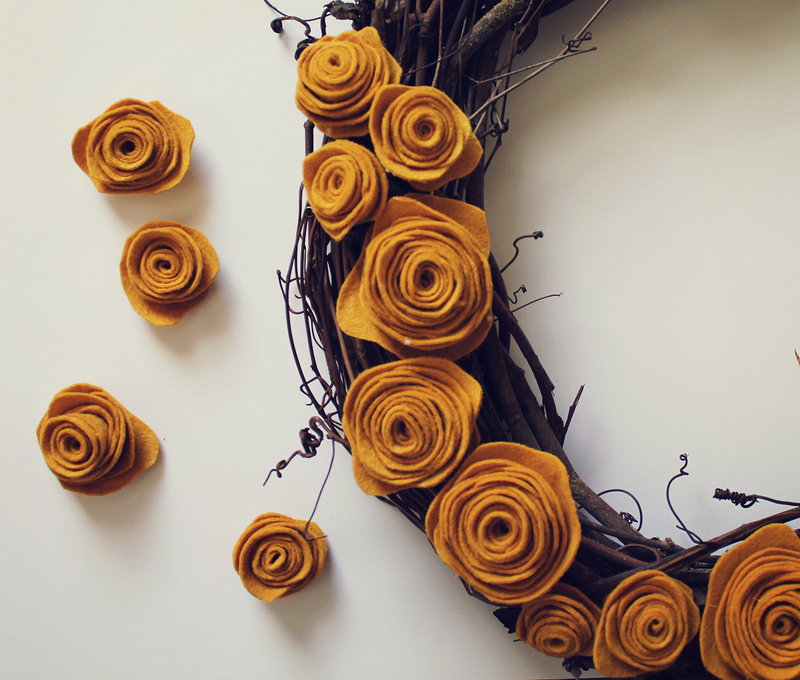 Fall wreaths are kinda my thing. I made one last year around this time and loved it so much that I kept it up all the way until last night. It was a great wreath and a great friend, but let's be honest, it was kinda gross. It had faded a lot in the sun and was very dirty from the summer dust storms. I think part of the reason I left it up for so long was because I felt I could only replace it with a wreath that I loved equally or even more. Well, last week the day finally came. I made a wreath I may be liking even better than last year's. I guess I'm just thoughtful like that. 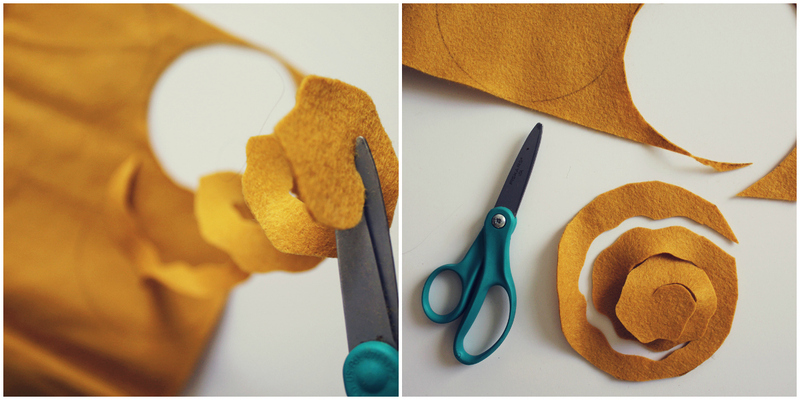 First, cut out some circles in various sizes from your felt. You can use a round object to trace your circles, or do them free-handed. They don't need to be perfect. Each circle makes one rosette for your wreath. So, cut out as many as you want. 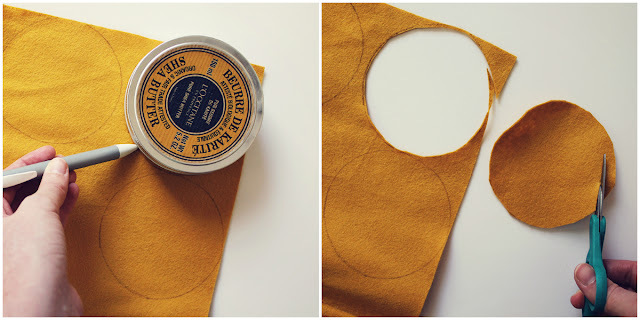 -this will become the base of your flower. Next, begin rolling this long strip of felt, starting from the end where you first started cutting. Keep it tight as you roll it up. Finish by placing the center circle under your flower. 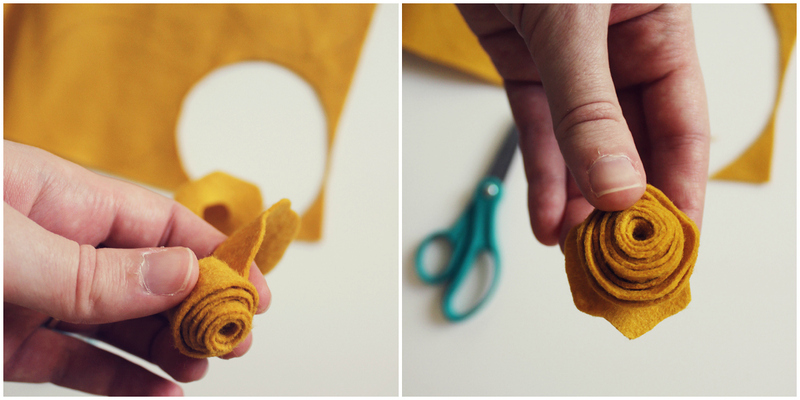 If you want your flower to look more loose and open, then roll it a little looser. 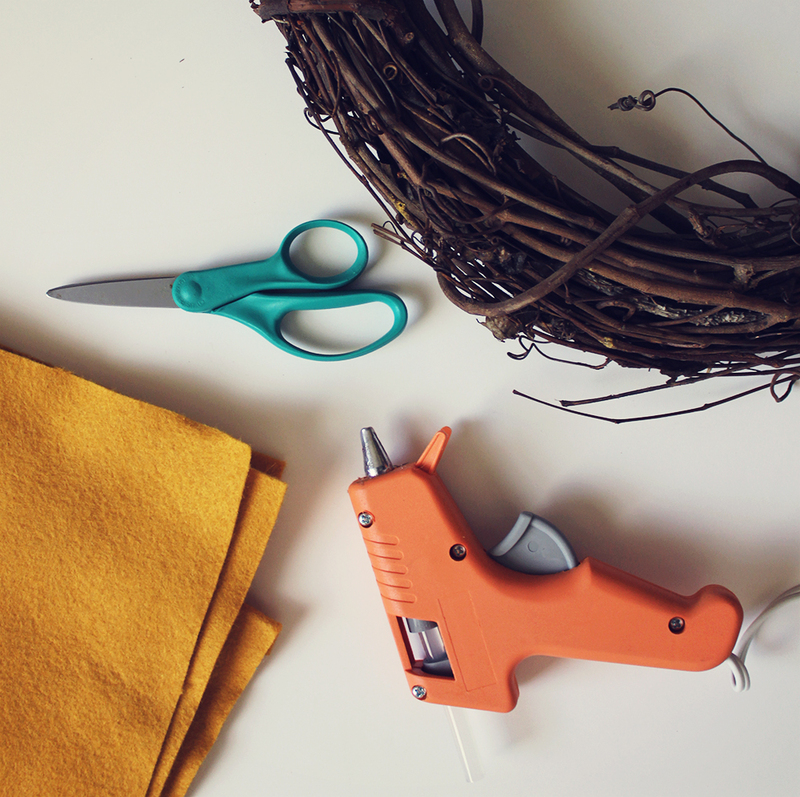 Use the hot glue gun to glue the round base to the bottom of the flower -this will hold it together. 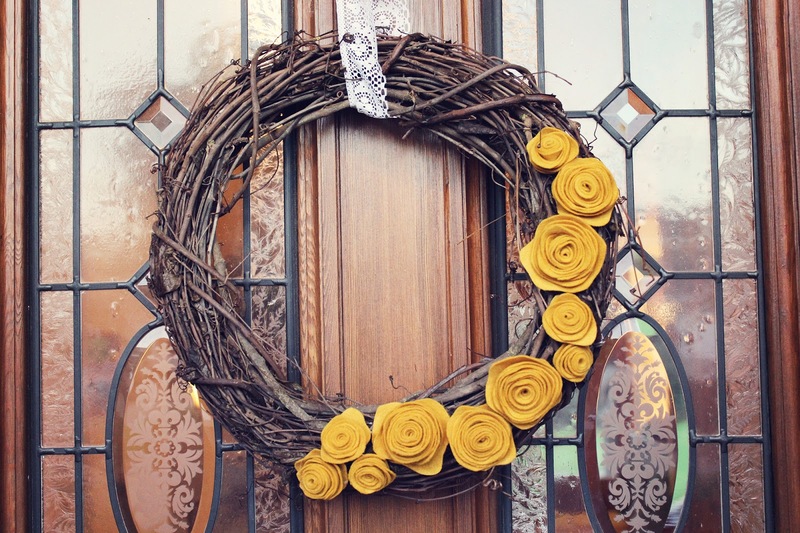 Arrange them on your wreath however you like. I only covered about 1/3 of mine, but it also looks cute completely covered. You could also add felt leaves too! 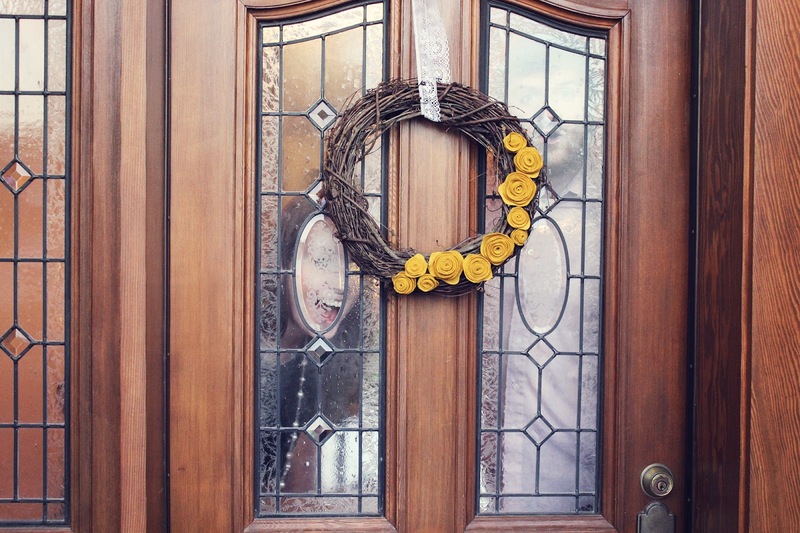 Once it looks good to you, glue everything onto the wreath and use a ribbon or string to hang it onto your front door. and then hang my wreaths from that. oooh love! Good choice on the mustard yellow. Can never go wrong with mustard yellow. Or felt flowers. i feel so much more crafty after reading that post! thanks for sharing, purple shorts!